LUC has many years of experience covering rollers and other parts with rubber. 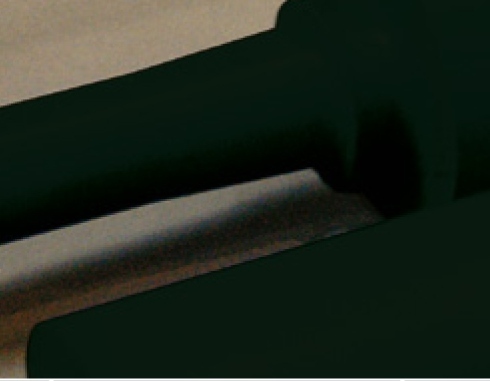 Rubber manufacturing started in the early eighties in Wales, at the South Wales Rollers company, which later became LUC (UK) Ltd.
Nowadays LUC can provide all kind of both standard and specialty rubber compounds. Consequently LUC is able to provide a solution in rubber wherever this is required or is the most suitable. The selection and development of rubber compounds is carried out by LUC’s own Research & Development facility. Rubber grades can be optimized for specific requirements, achieving a combination of material properties for optimal performance with maximum lifetime in each application. Nitrile Rubber, universally applicable, with good wear properties and excellent oil resistance. Hydrogenated Nitrile Rubber, with improved wear properties and temperature resistance compared to NBR. Styrene Butadiene Rubber, universally applicable, with good resilience and alkaline resistance. Natural Rubber, with excellent material strength, wear properties and resilience. Chlorosulphonated Polyethylene (Hypalon®), with good wear properties and excellent chemical and oil resistance. A special LUC-CSM/X grade is available with even further improved wear properties for longer lifetime. EPDM Rubber, with good resilience and excellent chemical and solvent resistance. A special LUC-EPDM/S grade is available with improved solvent resistance for coating applications. Chloroprene Rubber (Neoprene®), with good mechanical properties for general purpose applications. Silicone Rubber, suitable for a broad temperature range (-60 to +200°C). Fluorocarbon Rubber (Viton®), with high temperature resistance, good solvent and excellent chemical and oil. Furthermore, special or specially modified grades are available with improved and optimized properties for certain areas of use. If required for protection of shaft or journals in harsh environments, LUC can provide an Ebonite base layer underneath the rubber cover.